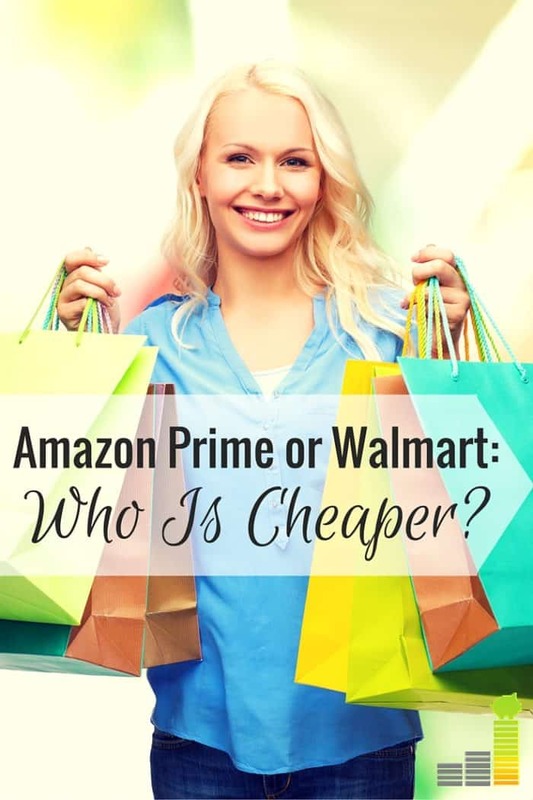 Amazon Prime vs Walmart – both offer great deals, but who really is the best. I have no love loss for Walmart and like to shop as much as possible on Amazon, but Walmart can offer good prices. I recently went to Walmart to survey some of the items we typically buy just to see who has the better deal. We do a large majority of our grocery shopping at Costco. However, there are just some things that we either can’t get at Costco or choose not to have massive quantities of – thus our need to still go to Walmart from time to time. This is where Amazon Prime enters the picture. At first, I was hesitant to think we could get a better deal with Amazon Prime, considering the $99 annual fee. That is also not to mention the fact that many grocery and house care items carry an additional $5.99 shipping charge – this is what they call their Prime Pantry service. Amazon claims they do this as many of these items are cost prohibitive to offer free shipping. Amazon Prime Pantry is only open to Prime members, so it comes in addition to the $99 annual fee. The charge gets you one 45 pound box, regardless of how full it is. While I did not like that at first, Amazon does have a nice feature where they tell you how much of the box each item takes up, so if you plan it right you can make sure you pack the box as full as possible. However, I have also read of complaints about it being unclear as to what items are required to be shipped via Prime Pantry, so that is something to take into consideration as well. 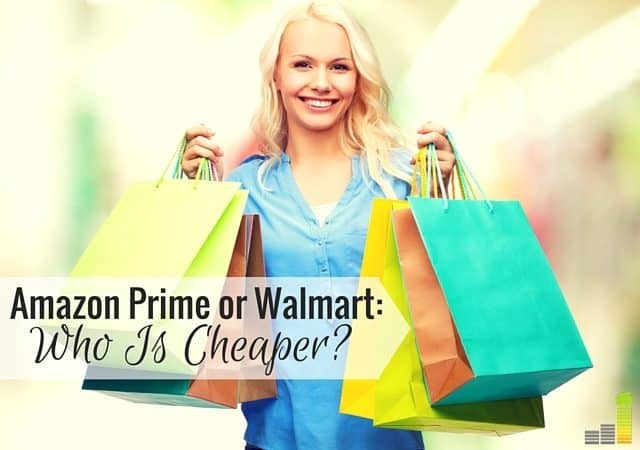 As I got into comparing Walmart vs Amazon Prime I started to really see that you would need to recoup those additional charges in order to make Amazon the better deal. Let me take that back. I knew that, of course, I just didn’t realize the role it would play. In addition to that, if you also hate the Walmart shopping experience, they do offer the Walmart online shopping platform which allows for free shipping in some cases for orders totaling more than $35. One thing you want to keep in mind with both Amazon and Walmart is both stores regularly are featured by some credit cards to get 5% cash back on purchases during a particular quarter. Chase cards are one example of this in the recent past. In cases like this, you receive 5% cash back, up to a certain amount, during a quarter selected by the card issuer. Click here to find cards that may qualify for up to 5% cash back on future purchases at one of the stores. That being said, I wanted to compare Amazon Prime vs Walmart to see who has the better deal. From what I can tell, it’s not truly an apples to apples comparison though not that far off from it. 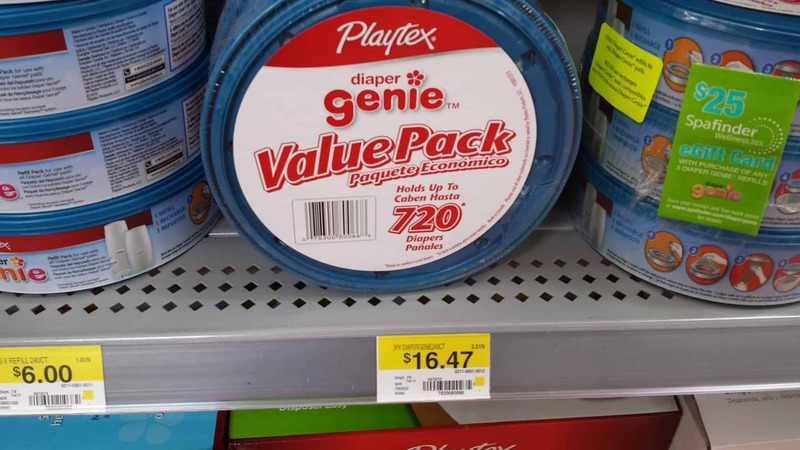 That goes back to a number of things like pricing variance at different Walmart locations, based on your zip code, not to mention sales as well as some items coming in different sizes. The other issue is that Amazon offers products through third party vendors which might be cheaper than Amazon itself. The final issue was that Amazon Prime does allow for lower pricing if you go with the Subscribe and Save plan which gets you the same item on some pre-determined interval so that must be taken into consideration as well. I compared 11 different items between Walmart and Amazon. I tried to get a general range of items in both groceries as well as around the house needs. We use many of these items ourselves, and a few others are ones I know others commonly use. With that out of the way, let’s get on with the review of Amazon Prime vs Walmart. 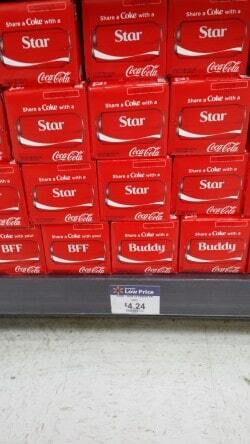 The first item I compared was a 12 pack of Coke. We don’t drink it any longer, but know many who do. Our neighborhood Walmart charges $4.24, while Amazon Prime charges $3.99 – as they offer a 20% off coupon. This is a Prime Pantry item, so that would need to be included. It came out to taking up 22% of the 45 pound box. All else considered I would call this a slight win for Walmart. We love to eat air popped popcorn as a snack in our home. 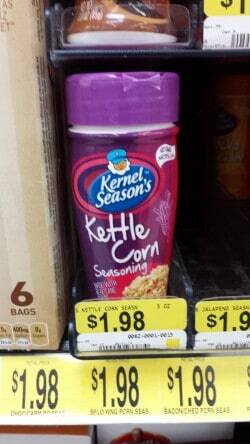 We like to use Kernel’s Popcorn Seasoning on it from time to time. At Walmart they charge $1.97. Through Amazon Prime you can buy a six pack for $11.89 or $11.30 if you do Subscribe and Save. Going with the latter option it would come out to $1.88/unit and thus is a win for Amazon. We go through a lot of diapers and use the Diaper Genie refill in our house. Both sell them in three ring packs. Walmart sells those for $16.47 while Amazon Prime sells them for $17.99 or $17.09 if you subscribe. The win goes to Walmart. Mrs. Frugal Rules likes soup a lot for lunch so she’s always looking for a deal on it. 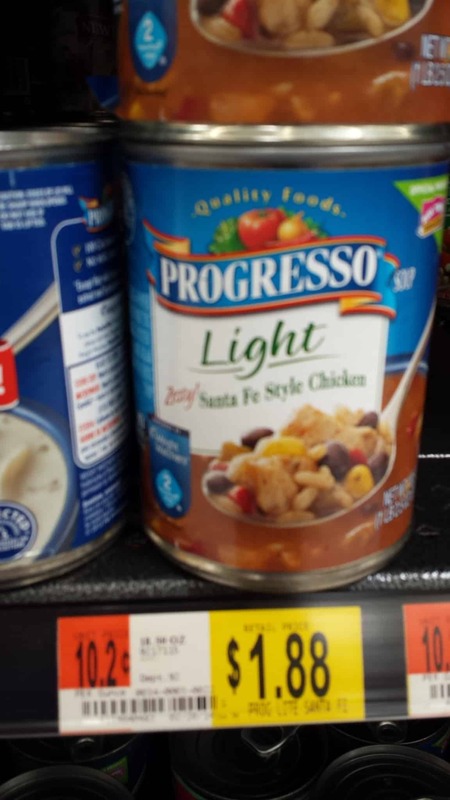 Progresso Light Soup goes for $1.88 at Walmart and $26.12/12 cans with Amazon Prime, or $22.20 if you go with Subscribe and Save. If you go with the latter option it comes out to $1.85 per can, however all 12 must be the same flavor. Due to that I’ll call it a draw. 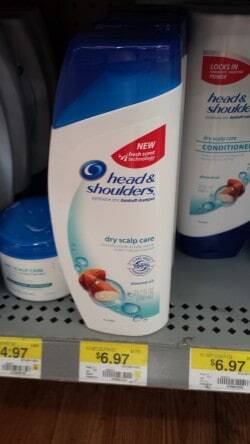 I use Head & Shoulders for shampoo, rather the generic version. If you go with the name brand a 23.2 oz. bottle is $6.97 at Walmart and $5.49 with Amazon Prime or $5.22 if you subscribe. The win goes to Amazon. 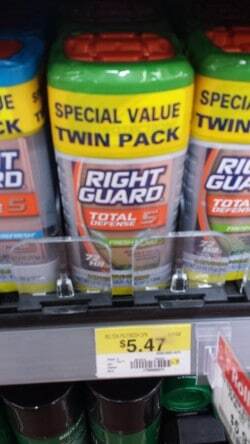 I use Right Guard Total Defense Gel for deodorant. At Walmart you can get a 4 oz. stick for $2.97 and $17.82/6 sticks with Amazon Prime or $15.15 if you subscribe. Without the subscription they’re the same price, but with the subscription it comes out to $2.52 and thus a win to Amazon Prime. 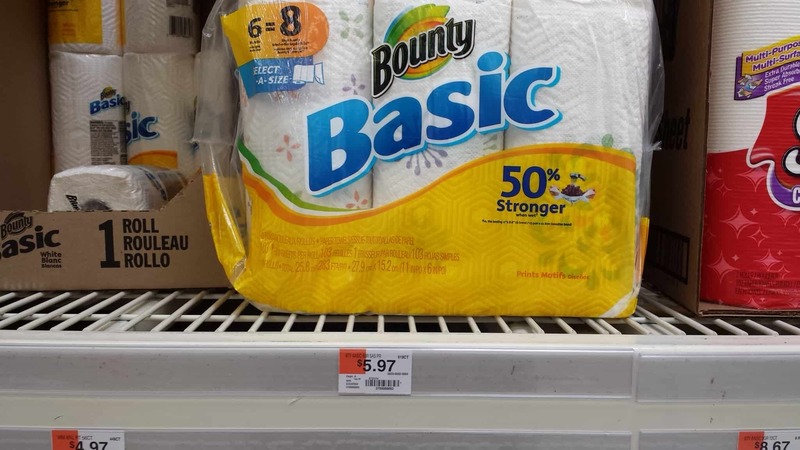 Everyone uses paper towels and the best one to compare was Bounty Basic 12 packs. They charge $11.94 per 12 pack at Walmart and $11.72 at Amazon Prime. However, this is a Prime Pantry item so the slight win goes to Walmart especially as each six pack takes up 23% of an Amazon Prime Pantry box. I’ll call this a slight win to Walmart. 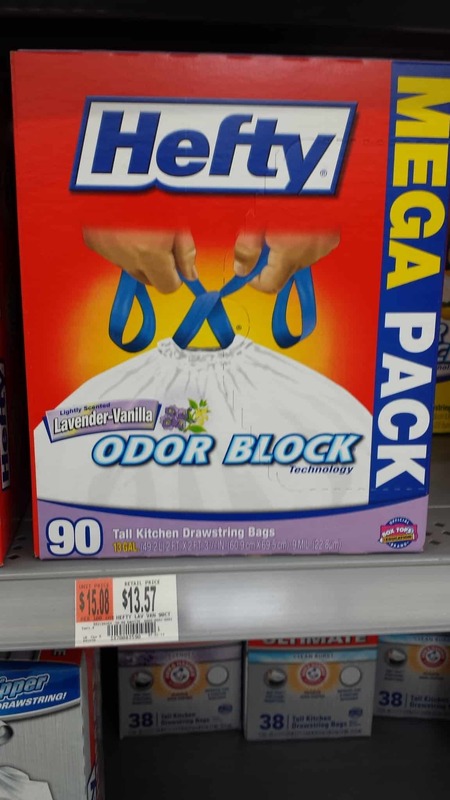 We use Hefty Trash Bags in our house and usually get whatever pack has the best per unit price. In this case the best comparison was the 45 count box. Walmart charges $7.82 per box with Amazon Prime selling it for $7.49; however it is a Prime Pantry item which takes up 5% of the box. With that being the case I would call it a draw or slight win to Walmart. 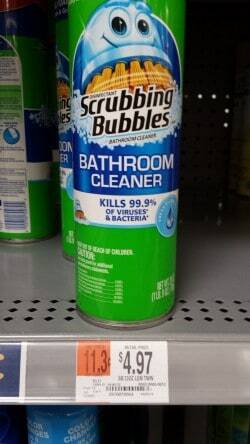 Scrubbing Bubbles is a fairly common bathroom cleaner. They charge $4.97 for a 25.2 oz. bottle at Walmart with Amazon Prime selling a four pack for $19.24, which comes out to $4.81 a bottle. This gives a slight win to Amazon Prime. We like to have Lifesaver Wint o Green mints in the house for breath freshener. At Walmart they sell a 41 oz. 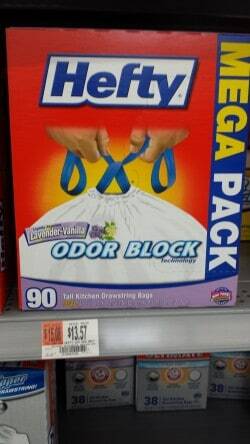 bag for $6.98 with Amazon Prime selling two 50 oz. bags for $16.29 or $13.85 if you subscribe. This would bring the price to $8.14 or $6.92 respectively and thus giving the win to Amazon Prime. The final comparison was between Colgate Sensitive toothpaste. Walmart charges $3.96; Amazon Prime charges $3.59. This would give the win to Amazon. As much as it pains me to say it, after taking a somewhat in-depth look at both options I think the slight win in the Amazon Prime vs Walmart battle goes to Walmart. You could try and get around this without getting Amazon Prime, but that would get rid of the free two-day shipping. That also gets rid of the Prime Pantry option and restricts you from getting many of those items. There are also other cases, like in the case of computers or electronics the hands down winner goes to Amazon. I believe some things don’t always come down to money. You have to look at what you like in life and what makes you happy. I like not having to step foot in Walmart. As I went in to the store to research prices I could tell an increased sense of agitation and stress come over me. Silly, I know, but true. I’d like to avoid that. 🙂 I think for the extra $100 plus whatever Prime Pantry charges it’s worth it to me to have it. That’s also not to mention all the other things you can get out of Amazon Prime like the free movies, music and ebooks. I will also mention that there will be cases where signing up for Amazon Prime would be good for some – especially those unable to get out to buy their things or those who live in remote locations where stores aren’t plentiful. In those events it would definitely make sense. If you’re on the fence about signing up for Amazon Prime, they do offer a free 30-day trial to see how you like it. It’s a good way to experience all the services and if it’s worth the added cost in your budget. What are your thoughts on Amazon Prime vs Walmart? Would you pay the fee to sign up to avoid shopping at Walmart? What else do you look at when comparing prices? This is a great comparison. Perhaps one more thing to take into account is the travel distance to Walmart. Seems Amazon would help save on the cost of travel with stuff being dropped off at your front door. Thanks Al! That’s a great point. If there isn’t a Walmart near you then it would add to the argument that you could potentially save more money through Amazon. In addition to the travel, sometimes a trip to get milk can turn into an hour trip of $80 worth of buyers remorse. It’s easier to stick to a list when sitting at home! my nearest walmart is 30 miles away in any direction. I always consider my time and cost to travel to pick up anything and Amazon wins hands down in 95% of my larger purchases that I can’t get at my local grocery store. Been a prime member for 6 years. I do hear that there will be changes in 2017. No more free streaming of music or videos. Read this via Amazons disclosure when go to sign up for amazon prime. FYI. I have the Walmart 2 day pass. I gave up Amazon Prime. I felt most things were equally priced or better at Walmart…obviously – not all. I also had to buy more in bulk/subscription to be able to get the discounts from Amazon. I loved the free shows and movies on Amazon. I did find there wasn’t a ton I watched that were actually for free on Amazon. The 2 day delivery was GREAT though. I live 40 miles from a Walmart so frequently use the delivery for $50. Based on my needs, I think it is great. I get some groceries, but household items especially the GREAT Value and Better Homes and Gardens brand are a great value. It really depends what you buy. The Prime Pantry bothered me, because what if I didn’t want or need to fill a full box? I’d still pay the delivery. I’ve been a prime member for years. I absolutely HATE WalMart and refuse to give them my business. It is a 45 minute drive to “town” for any kind of big box shopping. I love seeing the big brown truck drive up and deliver to my doorstep. Amazon wins every time! That’d definitely be a trek and can certainly understand why you’d not do it to go to WM of all places. We have far too many in our area for my liking. I actually shop at Walmart.com more than Amazon. Walmart has separate wharehouse fulfillment centers for its online store and you get the cheapest price online. Things tend to be higher with Amazon, I am not prime member so free shipping with Walmart helps also. Every time that I go into Walmart, I regret it. I live a few minutes from one, but I much prefer Target. I always shop Target first, then Walmart, if needed. We use Amazon for some purchases, but I can’t see myself buying grocery items. I like to use coupons in store too much! Ha ha, I’m the same exact way. The moment after I walk in I ask myself why on earth I’m there. That’s a good point about the couponing, though I’d imagine you could still find comparable deals on Amazon. We are Amazon Prime members, mainly for the free shipping for everything but groceries. We have a few grocery stores around us, so going shopping for food isn’t an issue. I just like Amazon for everything else because of the huge selection and good prices. With Prime, I get everything within 2 days which is also a plus. The one bonus you mention is a plus for us too – free Prime movies. They usually aren’t the new releases, but I’ll take a night in watching a free movie any day of the week! The 2 day shipping what’s really tempting us just to pull the trigger on Prime. I like the movie aspect, as well as the e-books, but the shipping would be what would really help us I think. I hear ya Laurie. We like the low prices as well. We’ve just gotten to the point of asking ourselves if it’s really worth it. Time will tell though. I love that tip by Will, though sadly our Walmart always seems to have interesting characters there regardless of the time of day. I have Amazon Prime and we use it all the time. I would pretty much do anything to avoid the Walmart shopping experience! I think we’d use it all the time too…which could be a bad thing. 😉 I would as well as walking in there just makes my skin crawl. I am actually a huge Amazon Prime fan, but I am one of those people who thinks you shouldn’t necessarily buy everything from it. As you have shown, you really have to be smart about what items are a good deal and which are not. A negative for me is the bulk buying you are sometimes forced to do with Prime. If you are not going to use 12 sticks of deodorant in two years, then maybe you shouldn’t buy them and actually save the $10 difference. I am not a fan of WalMart like yourself, but I have been known to shop there for specific deals when it makes sense. I agree Shannon – you really do need to be smart about it. Looking at it more in-depth I was able to see that pricing really just varies and we’d need to be more targeted in how we shop as otherwise it’d be easy to overspend. Obviously, that’s not the desired result. If we do pull the trigger I’m sure there’ll be some tweaking we’ll need to do in order to stay on budget. Great comparison! I’m neither an Amazon Prime member, nor a Walmart shopper. I dislike Walmart for many reasons, and immediately feel depressed about our country when I set foot in there. I coupon a lot, and can get great deals on basics this way at my local grocery store, and at Tarjay, which is right across the street from Walmart in my area. Thanks Amy! I feel very similar when I walk into our Walmart which is much of the reason why I like to stay far away from it. I think if you’re a couponer then it could be a challenge to go the Amazon route. We have a Target right up the street, though it’s not a Super Target so we’d have to travel a little further to get to one. Great research. I use neither really. Well, I use amazon for a couple of purchases I can’t find anywhere else, and I have used walmart online for a piece of furniture once which was pretty cheap. As far as movies and tv, I’m sticking with netflix. I don’t order that much on amazon to make prime really worth my while. Thanks Tonya! We’ve used Walmart online for a few things but the thing we’ve learned to watch is to make sure it’s shipped for free. We’re the same way on the movies – it’s Netflix all the way. 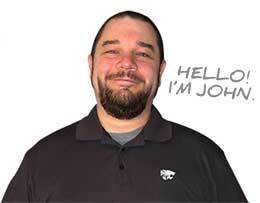 John, another great option is Drugstore.com. If you go through Ebates, you can sometimes get up to 15% cash back. I have only been to Walmart twice this whole year outside of the pharmacy (prescriptions are cheaper there). Both of those times were due to lack of planning for shipping time. It has been a huge stress reliever. Between Amazon, Drugstore.com and the grocery, we really do find similar pricing, plus you get all the TV and ebooks. Amazon wins hands down in my book. That’s awesome Kim! I didn’t even think of them as an option, and if you can get 15% cash back then even better. We’ve been able to cut down our Walmart trips quite a bit, but not as much as you. I can only imagine the amount of stress it would cut out. DH and I have been Amazon Prime member 2+ years and we still comparison shop for a lot of the things we buy. As you said, the two day shipping is pretty sweet. There is no Wal-Mart in Staten Island so I visit Target. In Canada, the sentiment is the reverse that many people, even those with high incomes still prefer Wal-Mart over Target. The latter badly botched their operational expansion into Canada last year. Goods were missing on shelves for weeks so that wasn’t a great start for their country wide store openings. in addition to being able to use coupons at Walmart, they’ve introduced a new free program called Savings Catcher. all you do is enter your receipt # on their website or app and it automatically weekly ad matches for lower prices at competitors. then it issues you an electronic gift card for any differences. on my last month’s receipt of $250, it gave me $20 and I didn’t have to lift more than a pinky finger! Well, since I love Amazon and loathe Walmart, it is a hands down winner for Amazon. I would rather gouge my eyes out with a hot iron than step in Walmart and sit there in a checkout lane for more than 10 minutes. Ha ha, that’d be painful to see. But, I’m right there with you sir. I’m a Prime member/Amazon fan. I can’t stand Walmart. I’m okay paying a little more for something as long as I don’t need to step foot in a Walmart! However, some Walmart’s are better than others. The one in my area is terrible! That’s a great point Kara! The WM by our house is absolutely horrid, but there are a few in Omaha that are nice…by WM standards. But, I’m not willing to drive 20 minutes to go to a WM – no matter how nice it is. Interesting comparison, John. I’m not a huge fan of Walmart but there are far more Targets than Walmarts around here. I do have Amazon Prime and like it overall. I can shop online faster and avoid the crowds which is always nice. Have you ever compared Costo to Amazon? We have memberships to both and I don’t mind paying for both of them, if it’s worth it. And I haven’t taken the time to do a real in-depth review. I’ve avoided Amazon Prime because I don’t want the “free” shipping to end up costing us more money down the road. I’ve never really spent much time looking at their groceries, though. I’m fine going to Walmart as long as I can ad match. That’s an excellent point Ben and something that has honestly held me back from pulling the trigger on it up til now. I can see how it would be easy to justify the purchase because the shipping is free. I hear you on the matching, but in all honesty, they could be giving it away for free and it wouldn’t be enough for me to go to WM. lol I can definitely relate. We lived in NW Arkansas (aka Walmart-Land) for a year and by the end of it, I decided I would never step foot in one again. I’ve been thawing a little, though. Ouch! Yea, I can understand why you’d feel that way. I just had a good friend from college move there a month or two ago and he’s already starting to feel that way. We pay the Amazon fee mainly because it’s so dang convenient. 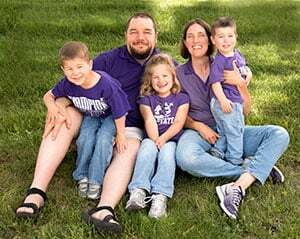 We are extremely pinched for time with both of us working full-time, my wife going to grad school part-time, and me running the blog (among other projects) in my spare time. To save time by having stuff shipped straight to our house we signed up for Prime. With that being said, we don’t order everything off of Amazon and go shopping at Target regularly, and have sprinkled in a little Walmart shopping (maybe once every four months haha). But I think sometimes these price comparisons are difficult. Anyone who drinks pop knows that the price fluctuates. We load up when 12 packs are on sale for $2 a piece. I can’t imagine ever paying $4+ for a 12 pack. I completely understand the lack of time as to why you’d go with Prime. We’re very much in the same situation which is part of what makes it so attractive. I agree that the price comparison can get difficult as I saw that in researching this post. I’m sure you could spend all sorts of time on that but that would sort of negate the time savings aspect. I love how you broke everything down, John! I’ve been wondering if Amazon Prime was really worth it as far as groceries and household products go. I hate Walmart as well, and I can relate to feeling stressed and agitated when going there. That’s why we usually opt for Target. It’s closer, less crowded, slightly more expensive, but a better experience. Sometimes it’s worth it. There really isn’t a Walmart which is convenient for us…apparently they’re not allowed in NYC so there are no Walmarts here. I do like Target and haven’t really compared the prices there and Amazon Prime. It really comes down to knowing your prices, and knowing what you buy regularly. A lot of the items you listed here can be found for even less at Big Lots, a grocery outlet like Aldi’s, and/or a dollar store. 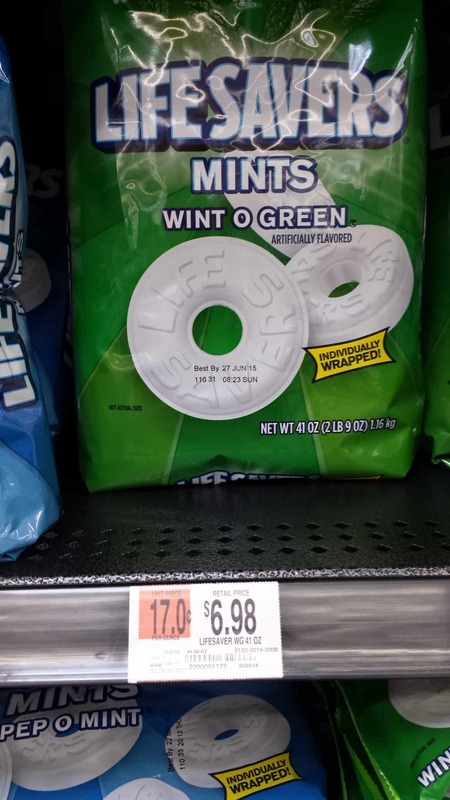 It’s definitely worth noting here that Walmart doesn’t always have the best prices (in fact, they often don’t, despite public opinion to the contrary)! Could not agree more FS! I would love to try out WalMart, but we don’t have one in our city, though there is one coming. I have never paid for Amazon Prime, instead making the minimum purchase for free shipping. I can’t imagine that I would pay for Amazon Prime, though I enjoyed a couple of free trials. I can’t get into the idea of paying for “free” shipping, especially when some items are excluded, and also can’t imagine paying a fee for the privilege of shopping at a store like Costco. I don’t care to go out of town to shop for everyday groceries, so I either do it locally or from Amazon depending upon the best price and convenience. What I basically want is top quality at the lowest price, and I’m excited at the prospect of having a WalMart that offers local organics at savings, and hopefully other quality items. Just be careful with Walmart, they don’t always have the lowest price even though many think they do. Another plus for Amazon: not having to lug all those things from the store to the car, from the car to the house. I have 35 lb bags of dog food delivered to the house. The heck with Prime, save your purchases till you hit $35 and get free shipping anyway! Excellent point Terri! If you can get it without ponying up the cost of Prime then even better. I have used Prime now for a few years. I love it for the fact of ordering with free shipping. I order books, household items, gifts which are sent directly to the recipient, etc. But, I always online price compare. It has been well worth it for me in what I purchase. I would much rather order a box of mailing labels and get free shipping, than spend forty five minutes driving to my local WM and waiting in line forever for one item. I haven’t tried Prime Pantry yet, but have price compared a couple of items and still in the process to see if it meets the needs of what I purchase regularly. I’m shocked by all the negative comments about Walmart. Walmart I go to in MN(home of Target-which I almost never go to) is clean, full of nice associates, and a place you can zip over to and pick up toilet paper, toothpaste, anything you need in minutes. I used Amazon once and hate waiting plus you can’t go to a store and see the stuff. I’m in my 60’s and maybe am old fashioned but I think Amazon is the biggest con ever as the only time I ordered I got bad stuff so I never used them again plus I enjoy the Barnes and Noble bookstore and used bookstore. Online isn’t everything just part of the world. Walmart pharmacy is real people to help you plus Walmart has online too and a bigger operation world wide. Amazon doesn’t have stores but Walmart offers online and I’ve used both. One other consideration: Depending on where you live, you may not have to pay sales tax on Amazon purchases. Our sales tax rate is almost 10%, so Amazon is often a better deal for that reason alone. Primes worth it imo. 2 day shipping is like what 5-10 bucks? I don’t remember because I’ve hsd prime so long. But lets call it 5 even. Its 11 a month or 100 a year. So if you order at least 2 things a month or 4 every two. Youve paid for prime. Plus incentives like prime day. Free ebooks if you chose regular shipping. Amazon music which imo is better than pandora as you can create custom playlists. Prime video is about as good as hulu or netflix. No gas money or wear n tear on your car to go 20 miles for me to wm. Not to mention amazon has way more of a selection and items found only in other countries or specialty stores. For me regardless of the cost of prime amazon wins every time. I’m sick of going to wm with 20ish registers with only 2 open. If wm was still just wm n not super centers with produce amazon would’ve already put them out of business. Plus amazons customer service is 100 times better than wm. As for books….. barnes n nobles was at least 5 bucks more for all the books I’ve ever compared. Barnes n noble is also an hr plus drive and amazon offers used books. If you weren’t happy with your order it was probably 3rd party. And why not call amazon or email…. they reimburse you instantly. Wm killed a lot of good local “old fashioned” stores. Its time someone puts fear in the eyes of wm. It would be so nice if Amazon would give Prime members a cashback deal if they don’t need their items within two days and can ship with standard UPS/USPS, like they do for those in the UK. I am seeing more often the household items I purchase are higher priced at Amazon than at Walmart. The price decrease + $6 for Pantry items makes me suspicious the price decrease is only a marketing ploy to use Pantry and I should actually be angry that my $100 membership alone does not get the reduced price with a minimum 45 lb order. I don’t consider the transportation costs as I am rural and will be making a trip to town supporting other locally owned businesses anyway. Shopping Walmart is not my favorite but they are the only ones that are keeping the pricing in chain grocery stores in our area in check. There are no more local mom & pop grocery stores – haven’t been for a long time. I’ve had the option of passing up Prime 2-day and getting a $5 Prime Pantry Credit. I didn’t use it but I saw it offered. Hope that helps! Personally, I do not think comparing items bought in bulk off Amazon to buying a single item at wal-Mart is fair. It is not very surprising that you get a discount for buying in bulk. If you are going to compare bulk purchase perhaps you should do Sams Club instead. I have recently set up most cleaning and personal care products on Amazon Subscribe and Save. I am a 45 minute round trip from any major shopping and fully admit that I am a “go in for toothpaste, come out $100 poorer …” shopper. Knowing the specific items we need will arrive at selected intervals as we need them is a stress reliever for me. Sams Club will also ship to us for a nominal fee. It’s worth $1.86 to have a 55# bag of dog food and 42# of cat litter arrive regularly. I couldn’t drive the hour round trip for $1.86. You reviewed 11 items, 2 of which were a draw. Out of the 9 remaining items, Amazon was the winner of 6. Add to that the fact that items are delivered to your doorstep (or mailbox). Not to mention, with Amazon you’re not supporting a company that treats its vendors and employees horribly. In my opinion Amazon is the clear winner here. So, I’m still confused about who would be better for me to go through. I live close to three WM’s; one is a WM Marketplace. I also live close to Target, Christmas Tree Shop, Dollar General, Fred’s, and many other shopping options. The selections of stores isn’t limited where I live. I’m just a socially awkward introvert. Just the thought that I have to go to WM makes my soul cry. I am currently an Amazon Prime member ($49 per year because I’m a student). I haven’t really tried out the Pantry option, but only because I just recently learned about it. I was going to try it out until I saw an ad on TV talking about WM’s equivalent to Amazon’s Pantry. So, I decided to do a little research before I settled. We also are subscribers to Netflix, Hulu, and the Amazon Prime benefits obviously. My question is, what do you think would be best for someone who absolutely hates interacting with people (I’m going through a hard time in my life right now, please don’t judge), but who pretty much sticks to the same things every month, stays on a budget, doesn’t purchase much in bulk (it’s just me and my husband most of the time, unless my children are visiting for school breaks). That’s a very good question Wendi! I say go with what’s most economical for you and keeps you from needing to go into the store. I know some things you can buy on WM you need to go into the store, so it may just be worth it to go with Amazon. I have Amazon prime but use it for movies and free shipping during holidays, I love walmart on line because they have free shipping on their groceries and it is deliveried to my door in 2 days or less . I refuse to pay a pantry charge for groceries after I have already paid a membership fee. Walmart has no membership fee. I order my meat and produce from Publix who also have home delivery in my area. I am disabled and this is blessing to me. This isn’t even a fair comparison. People are comparing in-house shopping at Walmart compared to online shopping at Amazon. If you’re forced to spend x amount of dollars to buy in bulk at Amazon then you’re not saving anything. Walmart has free shipping over $35 and it’s quick, convenient and you never have to step a foot in the front door just like shopping on Amazon except you aren’t required to pay a $99 dollar membership fee on top of a $5.99 prime pantry shipping fee, considering most products that are available for purchase are through prime pantry. 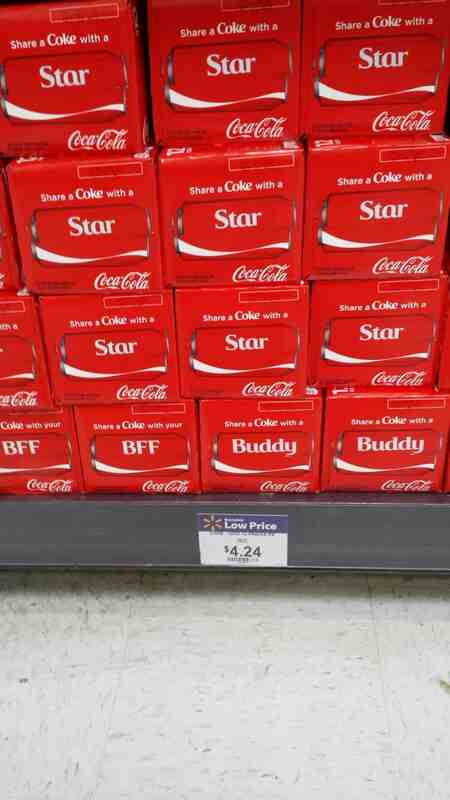 Walmart wins hands down. If you would’ve read the entire article, I did say that Walmart was the winner when it came to prices. Additionally, not every item from Amazon must be in bulk, plus there are cases where you must go into an actual Walmart to get items as they can’t be shipped to you. That’s also not to mention the fact that I mentioned the biggest reason for me, and others, to choose Amazon – we hate stepping into a Walmart that much that no savings is worth it. This is no joke. All of this is true. and won’t do it again for any food/pantry items. This order including food items as well as multiple 64 oz liquid containers, cans of food etc. The order was literally put into a box an mailed. It arrived with holes in it and other holes that were taped up. There was no packing/padding materials in the box. all of the cans were dented. the labels on the liquid containers were scraped up…luckily they weren’t leaking. I won’t order from Walmart again for quite sometime. You have a point there, I’ve learned over the years to order just the right things, and if I have to make two “smaller” orders (with free shipping) that works too. Items are not smooshed, boxes are not dented (broken) as much, but unfortunately it boils down to Amazon having the upper hand with shipping companies, that treat their boxes with much more care. Never go to a walmart store to return them, please call their customer service number instead, you’re making THEIR job too easy; and there will be no point in online-ordering! I stopped using Amazon a while back due to some shipping problems unrelated to cost, and I also found that my amazon-devoted friend had to travel downtown to return an unwanted item; otherwise the shipping for that item would be excluded from the refund. I should mention, this item was purchased with “the free-shipping” grace. Also, never fail to mention the $99 prime fee per year, the MORE orders you make the more it “pays for itself” so, you have to look at it in that perspective as well, 20 orders a year won’t make it pay for itself (meaning you SHOULD make at least two orders per month to make it productive) and spend more money! In Amazon, add-on items are add-on items and unless your shopping cart reaches certain capacity of NON-addon items, you can’t get them. You can’t buy one deodorant worth $3 (addon) for example and expect it to be sent for free, not even if you buy 100 of them. You can buy one deodorant for example (not addon) but it wont cost you less than $5 (99% of items less than $5 are labeled addon-items I’ve come to realize). When it all comes down to it, eventually Amazon prime means, MORE money for Amazon. Too many exceptions make your money fall through the cracks (amazon pantry, amazon seller items not eligible for free shipping, addon items, and items requiring a subscription to get the best value)… you must also stay on top of price changes, watch for coupons, pretty much you NEED to visit the site everyday. It’s a win-win situation for Amazon who, keeps you spending more each day. ONLY way you can get your money’s worth, is selling the things you buy through eBay. I’ve found that many amazon prime members, sell through eBay to make the most out of their membership. You buy a bedsheet for relatively two/three dollars more in eBay, Amazon seller dropships it to you; earns two/three bucks and adds some rewards money to their Amazon credit card. If you think about the other benefits, they’re just pocket change in my opinion, I rather watch Netflix and use Spotify. Well, let’s move to the Walmart subject… yes there might be items that may cost more in Walmart online, I’ve found that coffee is one of them, books, smartphone chargers and perhaps medicinal supplements but really not that much. Kitchen (cookware) items and home and handy practical items might also cost more, but then again not Walmart’s strengths. Walmart shines on clothing items, while Amazon may have the edge on footwear. Wow, you’ve put some serious thought into this Liliana. 🙂 No one is perfect, especially Amazon or Walmart. Yes, you could watch the Amazon site daily but I don’t have time for that – which was sort of your point. 🙂 We have Amazon Prime because of the convenience. I love that we can buy something from the comfort of our home and it be at our house within two days. I know others, like Walmart, offer similar services – I just hate Walmart that much that I don’t want to risk having to go into the store.